Health challenges such as aging, injury, and some medical conditions could sometimes make common personal tasks, like bathing and grooming, can be very difficult and frustrating to perform. That is why Allcare & Allied Health Services LLC is here to provide you and your loved ones with the personal care services that you need right in the comforts of your house! Our professional care providers are always available 24 hours a day to provide in-home personal care services that will give you the opportunity to take time out from caregiving responsibilities while leaving your loved one in the hands of one of our trusted caregivers. 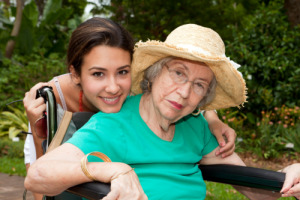 Our competent and compassionate caregivers ensure you or your loved one is staying healthy and safe by providing assistance with different personal care activities. Our personal care services are designed to meet the individual needs of each one of our patients and are available 24-hours a day, seven days a week, including all holidays and weekends. Dial 610-461-2071 or 267-699-8542 today to learn more about our Personal Care services.